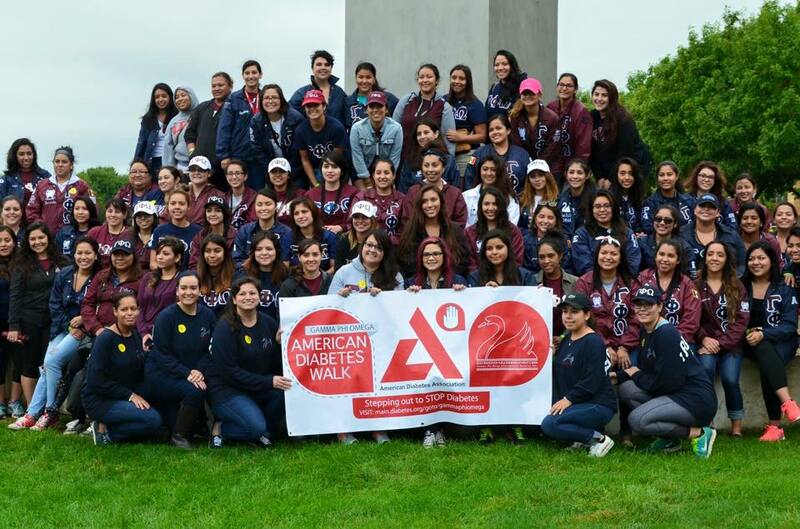 American Diabetes Association – Gamma Phi Omega International Sorority, Inc.
ADA Walk 2015 – Indianapolis, IN. Gamma Phi Omega International Sorority, Incorporated (Gamma Phi Omega) recognizes the significant influence our communities have had on us. Additionally, we recognize the opportunity we have as an organization of professional women to help others. Through involvement in events such as mentor programs and fundraising drives, Gamma Phi Omega always strives to contribute to the prosperity of others. Gamma Phi Omega has been a supporter of the American Diabetes Association for over a decade. The influence that diabetes has on the Latino community has prompted our organization to educate others about the perials of the disease. In addition to this, our members rally to raise funds towards the research and development of preventative aids. In 2016, over 20 undergraduate and alumnae volunteered in regional Step Out Walk to STOP Diabetes events. Over $8,950 was raised through our organizations fundraising efforts.